I will show you how to maximise the functions of Pro Tools and use its recording and editing features as well as it’s fantastic collection of on board instruments. 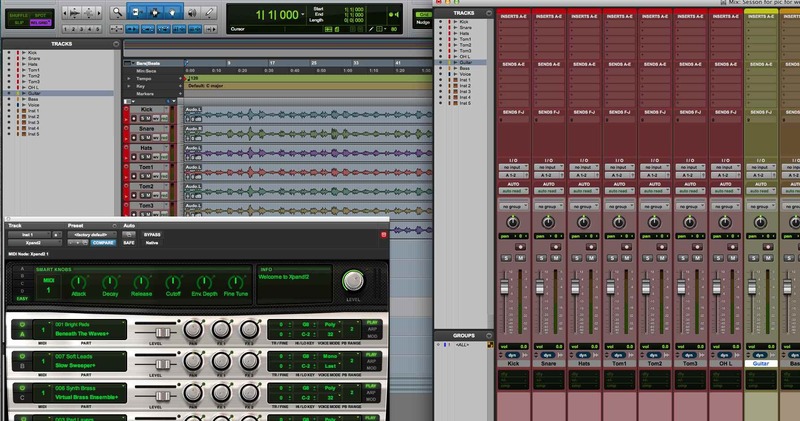 Pro Tools has come a long way since the days that it was just a digital audio recorder. It is now also a powerful midi sequencer and can even notate music to be printed for a musician to read. It can now compete with any of the many Digital Audio Workstations out there in terms of functionality but it’s strength is its simplicity and it’s intuitive operation. It is one of the most well organised DAWS around in terms of its workflow, making really large session easy to navigate. I will show you these tricks which I have learnt on the job working with high profile artists who demand efficiency which Protools is able to deliver. Pro Tools, has not become one of the most used DAWS by accident. It is is the common software found in Post Production facilities for TV and movies alike. Equally it is used in the production of music recording because of it’s versatility and easy of use. The hardware also has excellent sonic quality producing world class recordings. The Avid mixing consoles who also are responsible for Pro Tools, are also used in Live sound productions as well. Because of the compatibility with the studio recording, the live sound is increasingly beginning to sound like the studio recording. I will give you hands on experience and take you step by step through the process of creating a session in Protools. When you are finished you will be able to work with confidence in ProTools knowing how to do multitrack recording.You will also learn how to mix in Pro Tools using the various plugins that come with Pro Tools.